As I mentioned in my post about the May 17, 2017 update, Google seems to be pushing quality updates almost monthly now (refreshing its quality algorithms). That’s great if you are looking to recover, but tough if you’re in the gray area of quality and susceptible to being hit. Over the past several months, we have seen updates on May 17, June 25, July 10, and now August 19. Google has been busy. Barry Schwartz was the first to report the August 19 update, but it wasn’t long before many started chiming in. I began digging into the dataset I have access to across sites, categories, and countries to better understand the impact. In addition to reviewing the data I have access to, my inbox lit up with companies reaching out after seeing dips and surges. And then I had other people on Twitter, Facebook, and LinkedIn message me about the impact they were seeing. So, it was clear that Google pushed another major update on 8/19, with either testing or a different update on 8/14 (more about that soon). In this post, I’ll provide examples of the impact, explain the connection to previous quality updates, touch on impact I saw on 8/14 for several sites, explain what I’m seeing on sites that were negatively impacted, and then highlight some cases of surges and/or recovery. There’s a lot to cover, so let’s jump in. First, I wanted to provide some examples of the volatility I’m seeing across sites, categories, and countries. Notice the swings in visibility when the August 19 quality update rolls out. And there are many more examples of volatility. Connection to previous quality updates. When a major update rolls out, it’s always interesting to see if there was a connection to previous quality updates. 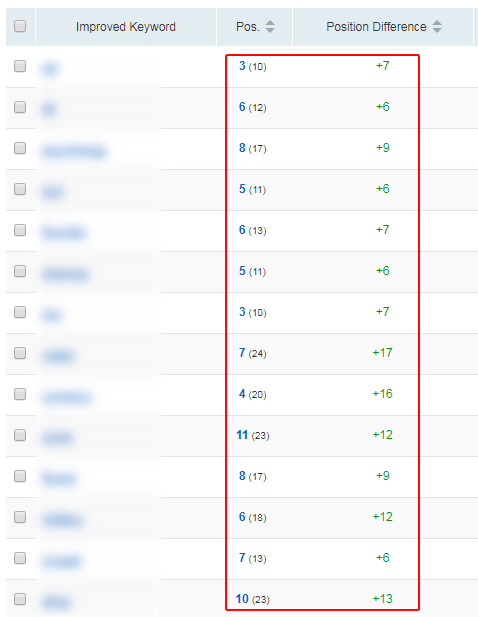 For example, sites surging or dropping that have been previously hit by other quality updates. You could definitely see that too, which is one reason to believe this was another quality update. The other reasons relate to what I’m seeing on sites negatively impacted, while knowing what sites worked on that are seeing recovery. Also worth noting is that some sites impacted by Fred saw changes. Many have been struggling after being hit by that update, so it’s an interesting side note. The 8/14 Connection: Testing, or another update? An interesting observation I made while reviewing sites that were impacted was additional movement starting on 8/14. This wasn’t just one or two sites, but a number of sites seeing movement on 8/19. That had me wonder if this was this a test of the 8/19 quality update, or a completely different algorithm update that was rolled out prior to 8/19? That’s really hard to say, but I haven’t seen any sites that were impacted on 8/14 that didn’t see additional impact on 8/19 (either reversing course or seeing more negative/positive impact). That makes me believe the two are connected (and could have been just a test of the update). Just an interesting side note. And Alan Bleiweiss shared an interesting case on Twitter, where a site he has access to saw a drop starting on 8/14, only to bounce back a few days later. Between what I’m seeing, and cases like what Alan shared, something happened on 8/14. That’s for sure. As usual, I dug into sites seeing negative impact to better understand content quality, UX barriers, monetization strategy, advertising setup, technical SEO, and more. As I’ve written about before, there’s never just one smoking gun when you are hit by a quality update. Instead, it’s typically a battery of smoking guns. During my travels, I saw a number of quality problems across categories. And again, I’m not saying each of these is 100% a factor. Instead, it could be the overall negative user experience from the combination of these factors. Google is trying to make its users happy, so it’s important to highlight any issues that could detract from the user experience (or destroy it). I came across several sites that dropped that had many category pages ranking. These are tag-like pages with just a listing of links leading to more content. Checking queries leading to those pages revealed the category pages often could not meet or exceed user expectations (at all). The pages sometimes had massive amounts of supplementary content without much main content. That led to a confusing experience for users. For example, users were being driven to pages that couldn’t answer their question, and that hammered them with supplementary content (making the experience even more confusing). Not good. Those pages dropped in rankings (and sometimes heavily). Ah, we meet again my friend. I’ve written heavily about how dangerous aggressive, disruptive, and deceptive advertising could be from a quality update standpoint. And I saw many examples of this while analyzing the August 19 algorithm update. 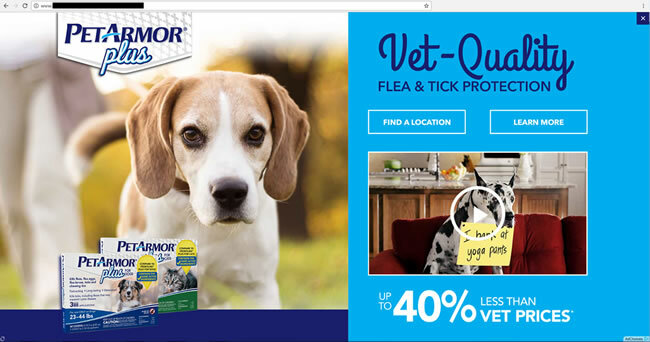 It never ceases to amaze me how some sites absolutely hammer their visitors, attempt to trick them into clicking ads, provide horrible UX barriers, and almost give them a seizure with crazy ads running across their pages. And let’s not forget full screen ads, advertising elements that push the main content down the screen, annoying popups, and more. I also saw the weaving of ads into main content many times on sites impacted by the 8/19 update. And some of them even tricked me into clicking them while browsing the sites. That’s never a good sign, since I’m neck deep in this and can typically pick up deceptive ads. One site lost 40-50% of its traffic overnight and it took me about thirty seconds to see the aggressive advertising situation across the entire site. You need to be keenly aware of this if you run advertising on your site. Do not hammer your users, try to deceive them, drive them off the site when they aren’t expecting that, provide full screen ads as users are trying to read your content, and more. If you do, then don’t be surprised if you wake up one morning to lower rankings and less traffic. Again, I can’t tell you how many times I have seen this happen. Beware. I saw a number of examples of pages with decent content, but that dropped during the August 19 update. When checking the competition, you could clearly see higher quality content across most of the urls that now took up the top ten listings. I saw this a number of times during my travels. This was basically Google’s quality algorithms reevaluating the site and finding that it just wasn’t as high quality as they thought it was previously. Google’s John Mueller has explained this several times before. If that’s the case, then work hard to improve the content on your site. This is one of the cases where there isn’t one thing to change… you just need to improve your content overall. While analyzing sites negatively impacted by the 8/19 update, I kept coming across sites with broken UI elements, including using flash elements on the page. Those flash elements will not play on mobile and they are also disabled by default in Chrome. The user experience was absolutely negatively impacted by not seeing the content, and by seeing broken elements. I’ve seen broken UIs before while analyzing previous quality updates, and that could simply relate to unhappy users. For example, users bolting from those sites, and Google picking up the low dwell time in aggregate. Low relevance based on query. Panda-like. I’ve mentioned this before when writing about algorithm updates, but there are times sites drop that were ranking prominently for queries they had no right ranking for. And remember, this is exactly how Google now explains Panda. Both Gary Illyes and John Muller have explained Panda this way, especially since it became part of Google’s core ranking algorithm. For example, Gary has explained that Panda isn’t a penalty. It will adjust rankings for sites that are ranking prominently for queries they can’t answer. I saw that several times during my analysis of the August 19 quality update. Now that Panda is running continuously, it’s hard to say if Panda is refreshed at the same time that Google’s other quality algorithms are refreshed, or if something else happened. And we’ll never have that answer (based on how Panda rolls out now). But this is worth nothing so you can review the queries leading to your site, your content, and make sure they meet or exceed user expectations. 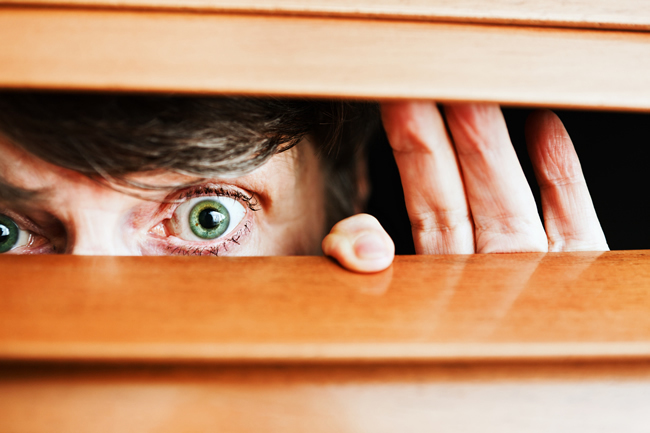 Always look to identify those problematic areas… and close the gaps. I mentioned aggressive advertising earlier, but there are times aggressive ads are combined with thin content. That’s a dangerous combination to say the least. I saw that several times when checking sites negatively impacted by the 8/19 update. It’s critically important you don’t suffer from this quality double whammy. Beware. On the flip side, there were many sites that surged during the 8/19 update. And it was great to see a number of companies that have been working hard to recover see increases. These are companies that had been impacted by previous quality updates. I’ll touch on a few cases below. One company that has seen continual increases during the past several quality updates was once in a very different situation. This is a site that had been impacted by multiple algorithm updates in the past, including Panda, Penguin, and Quality Updates. They contacted me several years ago and have made great strides since then. That included revamping the entire site, nuking low quality content, improving technical SEO across the board, enhancing their mobile experience, and the latest significant change relates to content. They finally crafted a strong content development plan based on understanding prospective customer pain points. So they are writing killer blog posts that address those needs, answer those questions, and thoroughly cover topics. That includes video when needed. And that is paying off big-time. They are up 46% since the May 17 update. That’s huge for them and is directly impacting their bottom line. Those new blog posts are driving more people to actually buy from them. That’s a great example of how a killer content strategy can pay off (in multiple ways). Traffic, revenue, trust, etc. Another site that saw a healthy increase during the 8/19 update moved to a clean content approach (without weaving ads throughout the content). So instead of breaking up that content many times with annoying and disruptive ads, users could read the entire content without coming across those barriers. In addition, each of the articles contains valuable and helpful comments. The comments are moderated heavily and add a lot of value to the page. Remember, Google’s John Mueller has explained several times that the comments help comprise the content on the page. Therefore, high quality comments can impact the overall quality of the page (and site when taken in aggregate). I’ve been helping a site that drives a lot of traffic from Google each day. I’m talking about over a million clicks per day. But they have faltered several times in the past at the hands of quality updates. Even though they are an industry leader, the site is complex, and has many pitfalls. The crawl analysis and audit I performed yielded several deliverables filled with problems to fix. That was across categories like content, advertising, tech SEO, and more. They are now a few months out from making key changes across the site and have seen a noticeable increase in visibility (especially with the August update). This is a great example of a site tired of the gray area and making a concerted effort to increase quality over the long-term. And it’s paying off. We often discuss collateral damage when referring to algorithm updates, but there can also be collateral benefit. That’s when a site surges when it really shouldn’t. I saw that a few times during my travels analyzing the August 19 update. That’s my opinion, of course. One site surged like mad, but it ends up that mobile users are the only ones seeing the true content. Desktop users are redirected to a less-than-optimal experience. But here’s the rub. They are cloaking. So Googlebot is seeing what the mobile users see and never seeing the redirect to a less-than-optimal page and experience. Now, I started to think that maybe the site had been switched to the mobile-first index, but that doesn’t seem to be the case. I can check when the site believes it’s a mobile visit versus desktop and the indexed page shows “desktop”. The site absolutely surged during the 8/19 update. Hit by the 8/19 update? Make significant changes, avoid band-aids. If you’ve been impacted by the 8/19 update, then you need to significantly increase quality overall, and for the long-term. Google’s John Mueller has explained this several times when being asked about quality updates. Check those videos out to learn more. And if you’ve read any of my previous posts about Google’s quality updates, then you know I’ve provided very similar advice. You need to hunt down all potential quality problems and rectify them as quickly as you can. This can definitely take time to audit, analyze, identify, fix, test, and roll out, but that’s exactly what you need to do. Perform a thorough crawl analysis and audit of your site, surface UX barriers, thin content, and low quality content. Then handle that correctly by either improving the content, nuking it (404), or noindexing it. And absolutely review your advertising setup. Do not provide aggressive, disruptive, or deceptive advertising. Again, I cannot tell you how many times I have seen this across sites that have been negatively impacted by Google’s quality updates. It’s sometimes hard to take a step back and look at site quality overall, but that’s exactly what you need to do. Again, there’s typically not one smoking gun… there’s usually a battery of smoking guns affecting a site. I explained earlier that Google seems to be pushing quality updates at a higher frequency than ever before (refreshing its quality algorithms nearly monthly now). So if you’ve been impacted by the August 19 update, then start working on your site now. Surface all quality problems and handle correctly. 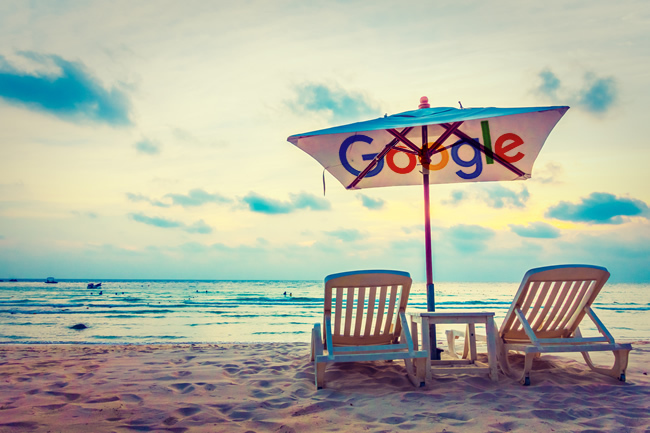 Google will need to see significant changes in quality, and over the long-term in order for you to see recovery. If you have been following my posts over the past few years, then you know I’ve heavily tracked Google featured snippets. They are fascinating to me, take up a large chunk of real estate in the SERPs, and can drive a ton of traffic. You can read my previous posts about featured snippets to learn more about this. I’ve also presented at SMX East about the power featured snippets, and I’ll be presenting there once again in October! Although featured snippets can be extremely powerful for site owners, they can also be frustrating. First, the featured snippets algorithm is extremely temperamental. You can gain, lose, regain, and then lose featured snippets very quickly. It seems the algorithm is always looking for the best possible result (and that can lead to extreme volatility). Another frustration is that Google can use your image in another site’s featured snippet. That’s a topic for another post, but needless to say, that situation can be extremely frustrating for site owners. By the way, I was able to test editing one of my images that was being used in another site’s featured snippet and it seems the algo is smart enough to know the image was being manipulated. You can read more about the case study in my blog post from earlier this year. So, we know that featured snippets are dynamic, powerful, frustrating, and temperamental. But let’s be clear… you definitely want them. They build near-instant credibility and can drive a boatload of traffic. What About Migrating Content To A Different Site Or Changing Domain Names? Let’s say you had a good number of featured snippets being surfaced from your site, but you were planning on moving your content to a new website (for whatever reason). Maybe you are combining sites, moving content from one large site to a another that’s dedicated to a specific topic, etc. Or maybe you are simply changing domain names. 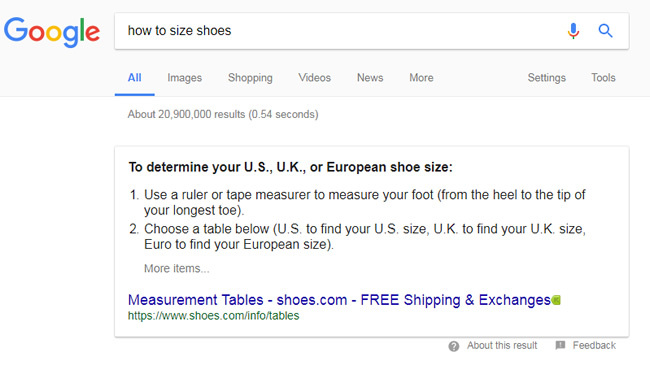 What would happen to your featured snippets at that point? It’s a great question, and it’s something I have been watching closely over the past several months. I’ve tracked a number of sites that were moving their content to another domain, or switching domain names, and wanted to see how their featured snippets fared. 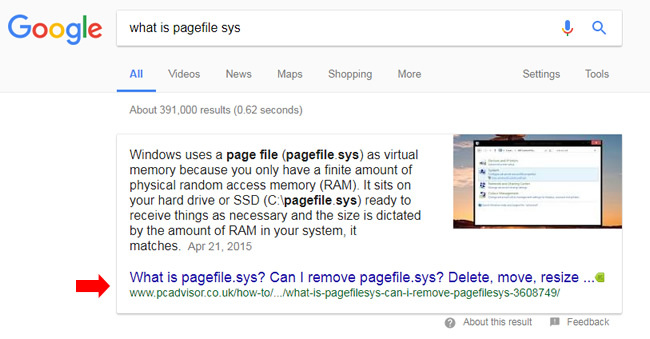 Would Google migrate the featured snippets to the new site or domain, or would there be some type of reset? A few months ago, I noticed the site shoebuy.com changed domain names to shoes.com. That was based on Wal-Mart buying the shoes.com domain name and starting the process of revamping the site (and leveraging the domain name). 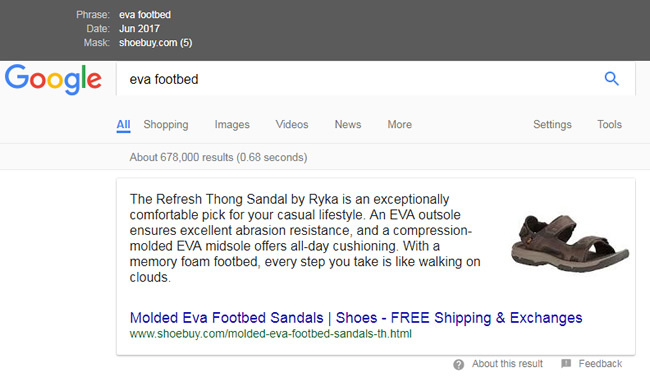 At the time, shoebuy.com had a number of featured snippets. So, I started tracking some of them to see if they would port to shoes.com when the domain name switch was triggered. I didn’t track every possible featured snippet, but did track several. It was interesting to see how quickly some featured snippets moved from one domain to another when the content was properly 301 redirected. And now that it’s been a few months, you could see a number of those featured snippets are still present on the new domain. Remember, the featured snippets algorithm is extremely temperamental, so other factors could lead to a loss over time. This past spring pcadvisor.co.uk migrated 110,000 articles techadvisor.co.uk. IDG wrote a blog post explaining the move and the challenges ahead of them. 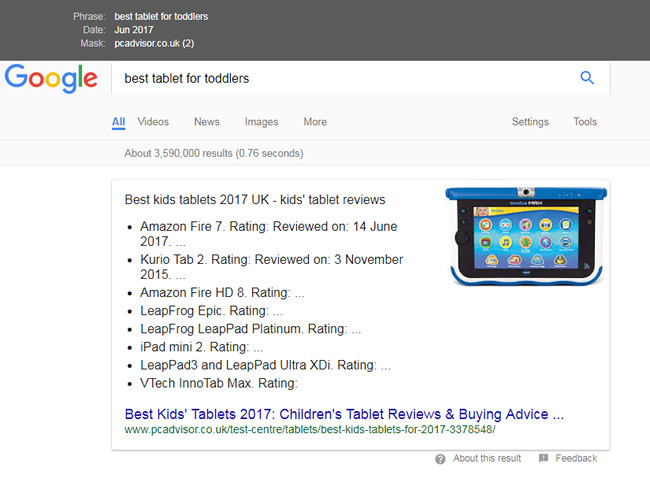 Before the migration, pcadvisor.co.uk had many featured snippets, so this was a good case for tracking featured snippets during a content migration. 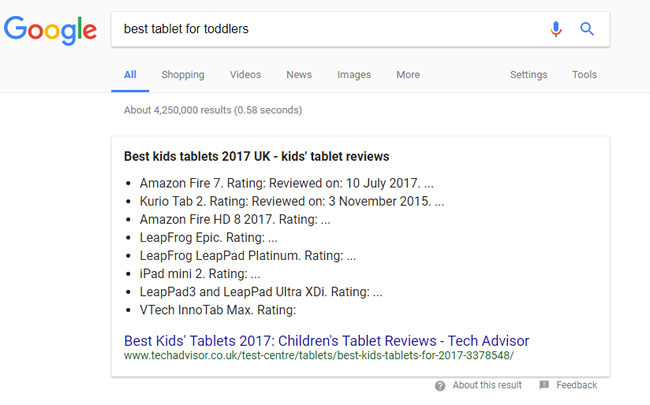 Testing several of the featured snippets that were present before the domain name change reveals that some did in fact get pushed to the new domain. I’m not saying a featured snippet will always port to a new domain cleanly. This is just an example of websites that either migrated content to another site or changed domain names while retaining a number of their featured snippets. Remember, the featured snippets algorithm is extremely temperamental and it can change on a dime. There are many reasons why a site could lose featured snippets. So, it was interesting to watch the domain name change and migration occur and see the featured snippets move from the old domain to the new one. 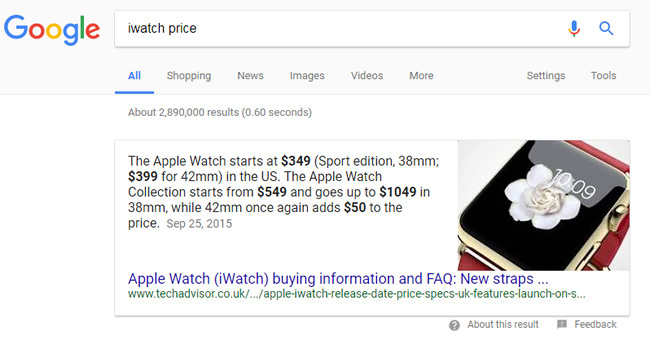 How Quickly Can Featured Snippets Move? While analyzing migrations and domain name changes, you can clearly see some featured snippets port very quickly to the new domain or site. For example, there’s one site I’m tracking now that has hundreds of featured snippets and just migrated its content to another site. 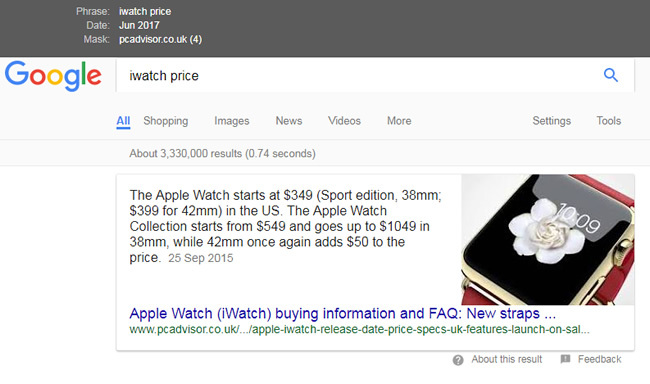 Many of those featured snippets have already ported to the new domain (and some only took a few days to move). It’s been fascinating to analyze. But, there are times that Google needs to recrawl many urls during a migration, and that can take time. Google’s John Mueller has explained many times that Google will recrawl some urls on your site quickly, while it can take months to recrawl others. And I’ve seen this first-hand. Therefore, just know that you might see your old urls being surfaced in featured snippets as Google recrawls your site. There are several findings based on analyzing featured snippets during site migrations and domain name changes. 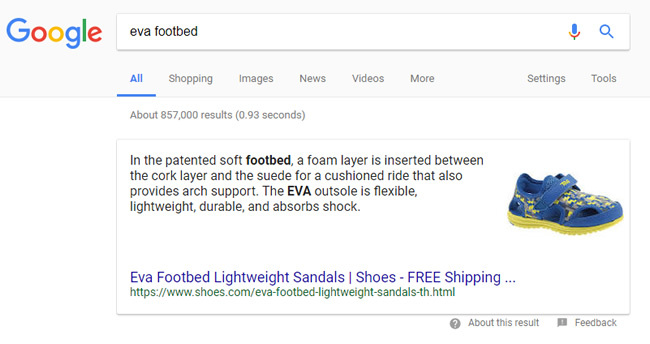 First, Google can port featured snippets during a content migration from one site to another. Again, this might not happen for every site, but I have seen them move cleanly from one site to another when the content is properly redirected (which brings me to my next point). Both case studies underscore the importance of performing a clean migration. For example, making sure 301 redirects are in place and avoiding 404s or redirecting to less relevant urls (like a homepage or a category page). If you do, you can obviously lose any rankings associated with the urls. A 404 will result in the page being removed from Google’s index, while redirects to less-relevant urls can yield soft 404s (which will ultimately be treated as hard 404s). Again, featured snippets can be extremely powerful. They can build near-instant credibility and drive a lot of traffic to your site. Therefore, if you need to migrate content to another site or change domain names, then make sure you execute the migration perfectly. If you do, you have a solid chance of retaining your precious featured snippets. 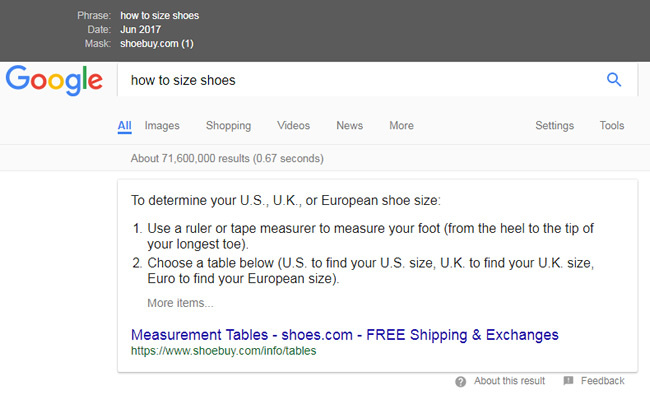 That’s at least until the featured snippets algo hunts down a better answer (or one it believes is better). Good luck. It’s an awesome tool and can help identify blocked resources, trouble with rendering content, etc. If you want to learn more about what you can find using fetch and render, you can check out my Search Engine Land column titled Fetch and Horror. 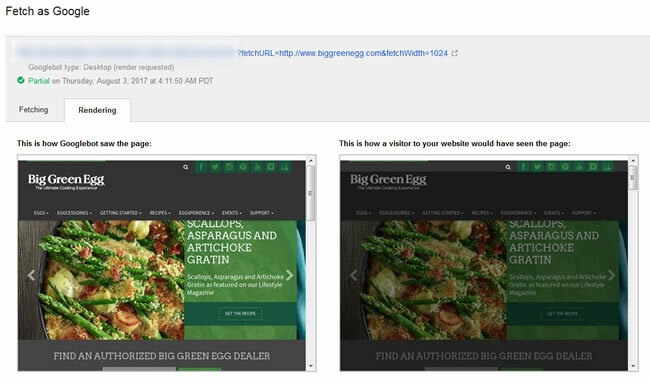 Dan’s global fetch and render approach was to iframe urls from another unverified website on your own domain and then use fetch and render in GSC. It works, and pretty darn well. I’ve set this up and tested it myself, and it does indeed work. And for those on the opposite end (being fetched), they can feel violated when someone is fetching and rendering their urls in order to see if there are any render problems. Again, it’s all a bit creepy. 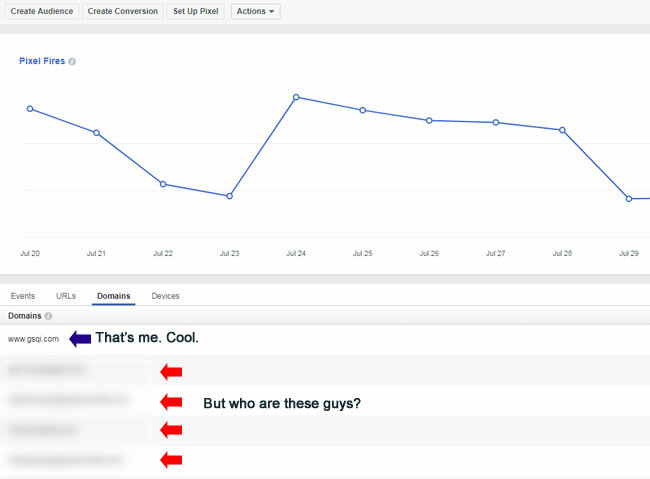 Facebook Pixel Insights, With A Twist. I was recently checking out Facebook’s pixel reporting and noticed an interesting finding. If you’re not familiar with the Facebook pixel, it enables you to cookie any visitor to your site and then retarget them back on Facebook. It’s a powerful approach that I’ve written about several times before (especially for boosting content to various custom audiences). As I was reviewing the pixel reporting in Facebook Business Manager, I checked the domains tab. And clicking that tab just might blow your fetch-and-rendered mind. It will show you any domain where your pixel has fired. And I mean any domain. In theory, most sites should only see their own domain listed… so if you see others listed, then something funny could be going on (like another site scraping your pages). 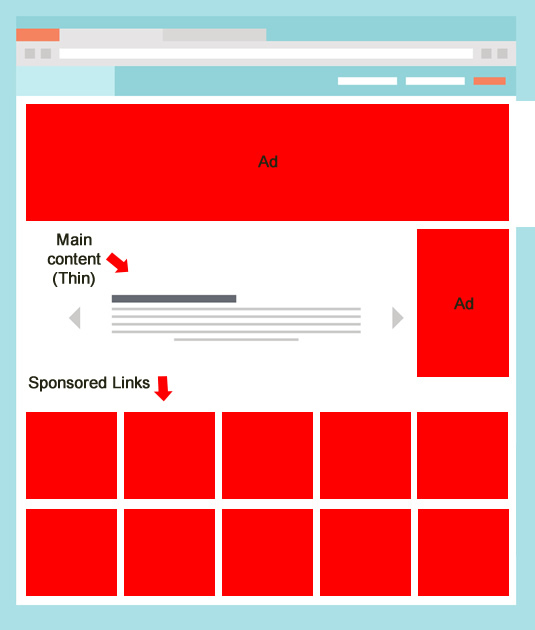 And of course, this would show any site that is iframing your content. And that’s exactly what you need to do in order to fetch and render another site’s urls. Do you see where this is leading? 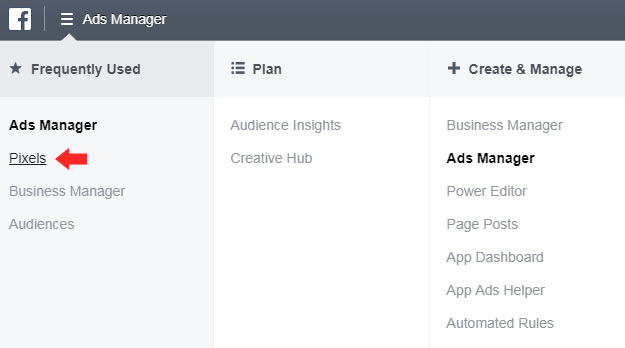 In order to view your Facebook pixel reporting, first access Facebook Business Manager. Once you do, click the hamburger menu in the upper left corner. You’ll see several options in the menu, including Pixels. Click that link in the menu and you’ll be taken to a screen that shows all of your “pixel fires”. Once you are viewing your pixel reporting, you’ll see four tabs, including Events, URLs, Domains, and Devices. The Domains tab is the one you should check out. When checking the list of domains in my reporting, I noticed the test domain I was using to set up global fetch and render using Dan’s approach. When Dan’s global fetch and render approach was published, many were thrilled to try it out (myself included). But there were some concerns about who might be fetching your own site. 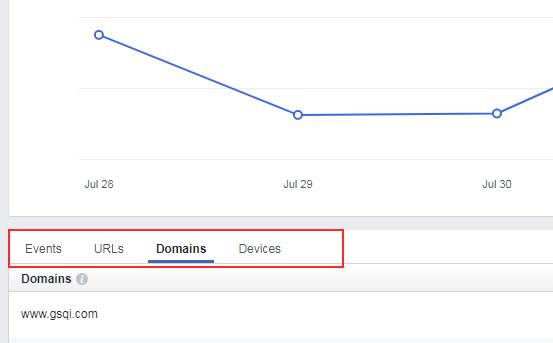 Now with the Facebook pixel reporting, you can easily check the domains where your pixel is firing. And if any of those domains aren’t your own, then they just might be “fetching around”. So definitely set up the Facebook pixel, and for more than just this reason. 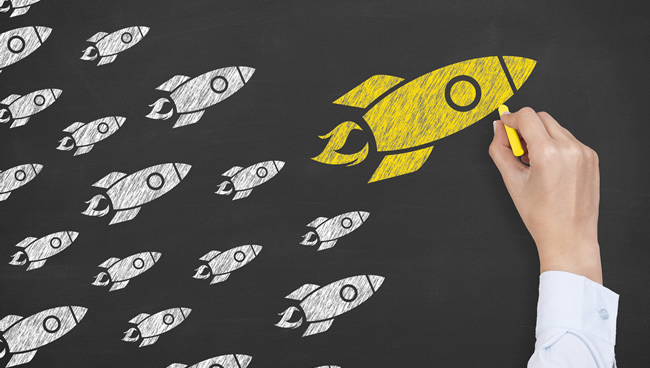 Boosting content to custom audiences is an amazing way to help get your content in front of a very targeted audience. And now that you can see who is rendering your own content, there’s yet another benefit to installing the Facebook pixel. So do it today. It should only take you a few minutes to set up.